I've been doing a lot of sewing over the holidays, but that's for a few other posts. Today I want to talk about 2018 Make Nine. 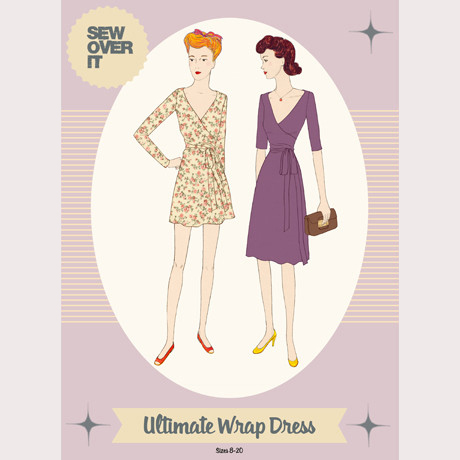 I haven't tried this before, but love the idea trying to keep focused on my sewing plans. 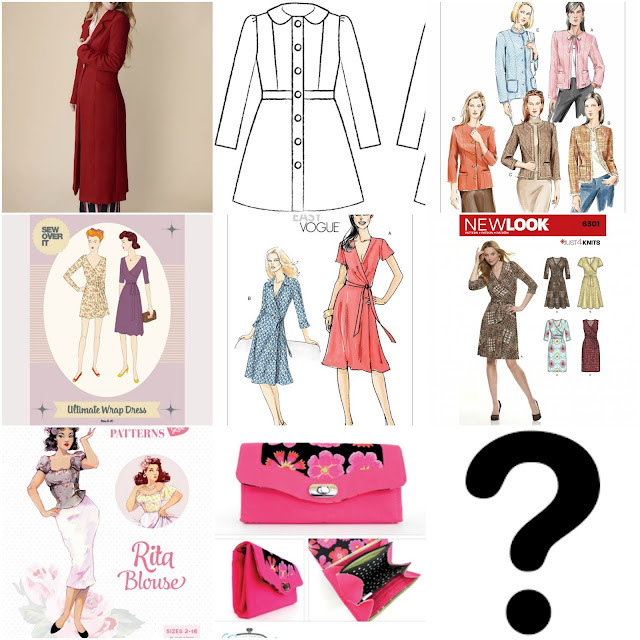 So, everything I have planned has been a match of stashed pattern to stashed fabric, and there are quite a few things that I've wanted to make for a while. Like just about every other sewist, I adored this coat on sight, and I already had the perfect fabric in my stash. It's this dark red wool/viscose from Montreux Fabrics. 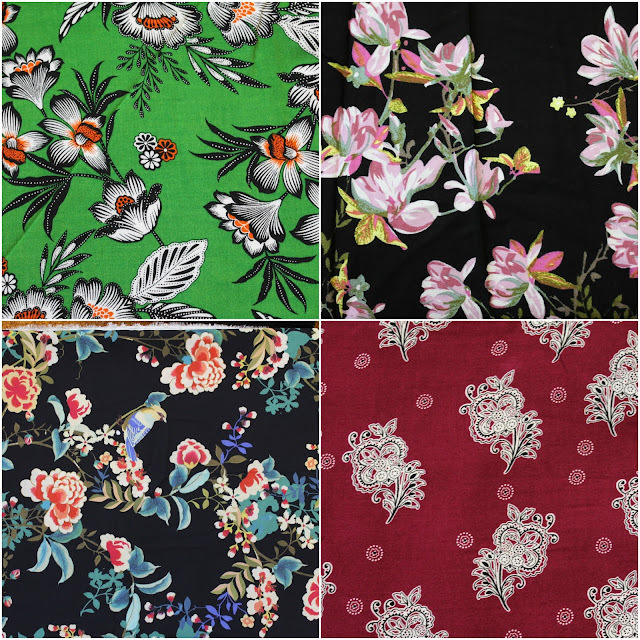 The lining is either going to be this cat fabric from The Textile Centre, or this black and red flowery fabric. 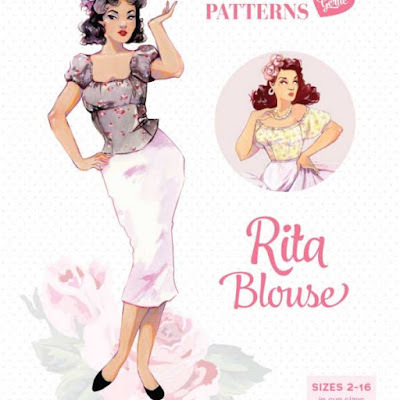 Sadly, this pattern has now been discontinued, which is a shame as I think it's lovely. I made it before here, and that coat has definitely seen better days, so clearly I need another one! I'm going to make it with this black fabric and grey lining that both came from The Spinning Wheel in Belfast. I want to change the sleeves to two piece sleeves, and remove the fullness from the sleeve head. 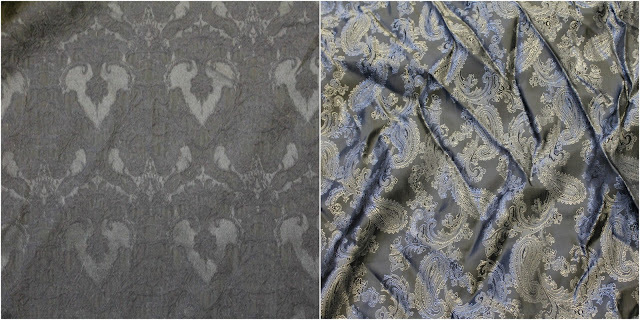 Both fabrics are pretty tricky to photograph. The main fabric on the left is much nicer in real life, and the lining will be nicer when I iron it! Yep, this is coat number three! It's a Vogue version of a Chanel jacket, and I didn't realise I needed one until I saw a gorgeous one on television last year. 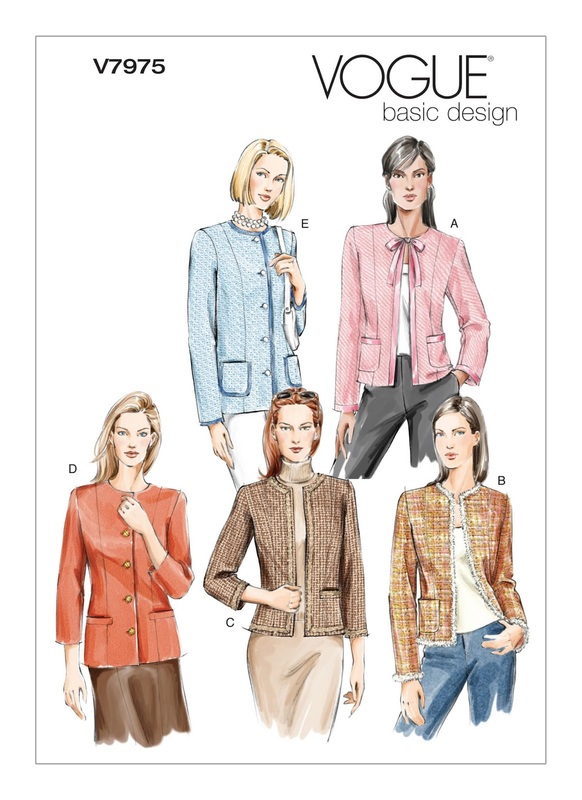 I'm going to go with View B (bottom right), and I'll be using the Craftsy Iconic Tweed Jacket class to make it. My fabric is some black and white Boucle from ebay, and some red and silver faux silk lining from Sew N Sew in Belfast. The lining is red on one side, and silver on the other. I'm going to use the red side. 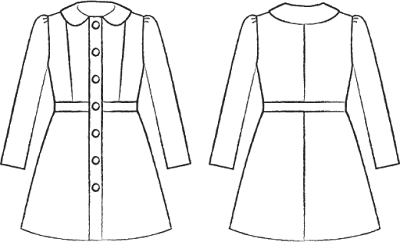 After all those coats, the next three are all going to be stretch fabrics makes, as I'm still all over my newly aquired overlocking skills. I've already made a version of this, but the fabric was rubbish. So I'm going to try it again in this heavy jersey from The Textile Centre, this will probably be my first make. I'm going with View B - long sleeves and collar, and am going to use this fantastic gold keys fabric from The Textile Centre. I have to thank reader Elaine Willis for putting me onto this pattern, and I'm going to follow her example on the bodice front as mentioned in the comments on this post. 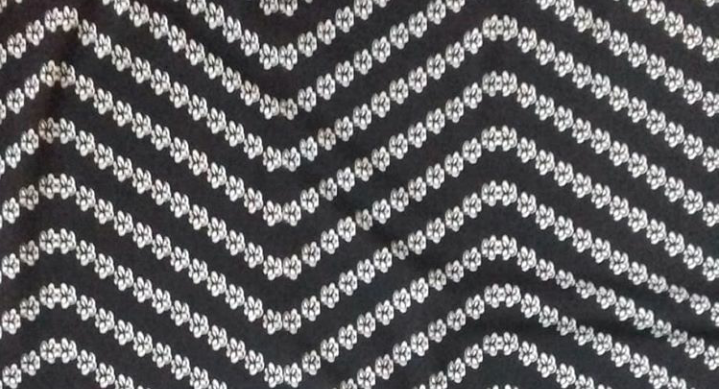 A bit of googling found this amazing version by Mimi G, so I'm going to try the sleeveless version with the full skirt, but maxi length using this black and white jersey, again from the good old Textile Centre. I've already made this top, which hasn't made it to the blog yet as I want to re-do the zip, but I have been thinking about a hack to a dress - maybe with long sleeves with a gathered cuff. 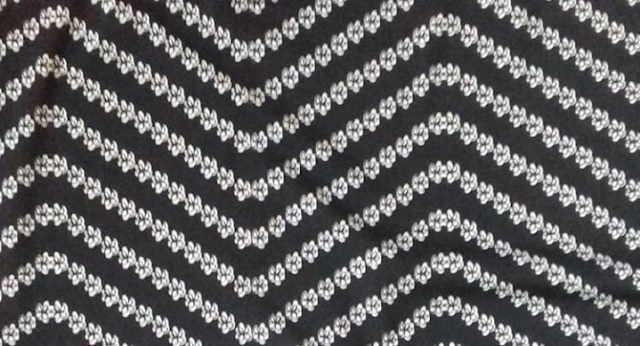 The fabric will be this black viscose with white anchors which came from ebay. 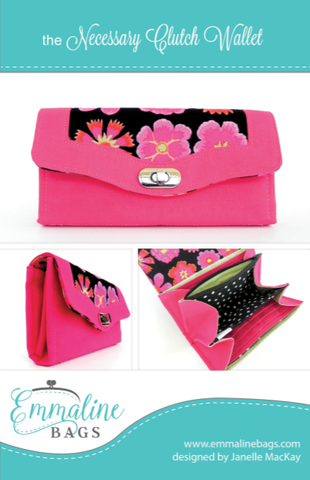 This purse is something a bit different to my normal makes, and I've wanted to make it for ages. Sian from Kittenish Behaviour will soon be doing a sewalong, and I have plenty of fabric scraps to work with. No photos for this one, as it's going to be self-drafted. I do have a Pinterest board full of inspiration though, and plenty of lovely viscose fabrics to choose from. Hopefully that should keep me out of mischief for a while! I've enjoyed seeing all the other 2018 Make Nines plans, and good luck if you're taking part, I'll look forward to seeing everybody's makes. I love your idea of matching stashed patterns to stashed fabric for your Make Nine Lynne - and all your plans sound great! Looking forward to seeing them come together over the year! You always manage to find the most interesting of fabrics Lynne. Look forward to seeing your plan turn into reality. Thanks Ruth! I'm clearly a fan of a bold print!! What lovely stylish choices Lynne! 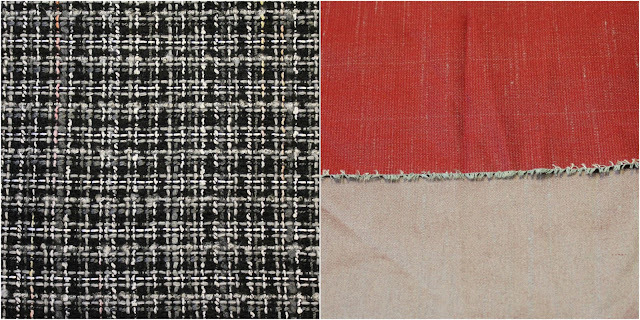 Matching patterns to fabrics is such a great skill. Can't wait to see you make these. 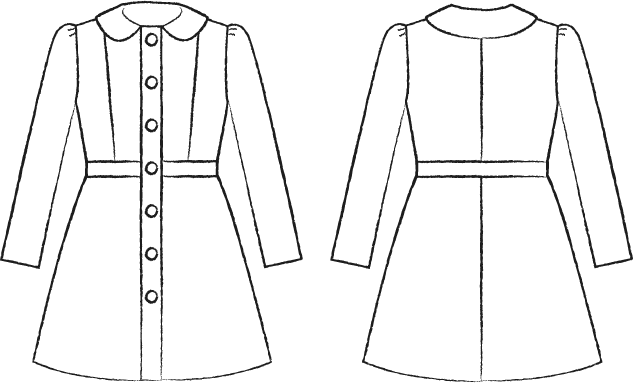 The Rumana coat looks beautiful and I'm very interested to see what you think of the jersey dresses. I love sewing knit tops and dresses and I'm always on the lookout for ways to improve the finish on these. I find the neckbands the trickiest part to get right! Wishing you a very happy sewing year! Thanks Elaine! 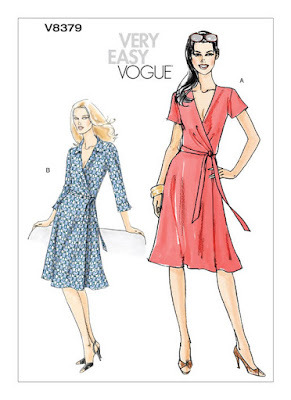 I traced the Vogue dress pattern today, and am hoping to get it and the Sew Over It dress cut out at the weekend. I struggled a bit with the neckbands on the Tilly And The Buttons Agnes tops I've made. My first few neckbands collapsed on themselves a bit at the front. Eventually I shortened the neckband pattern piece to 15% less than the neckline - the original is 10% less, and this has helped a lot. I might use clear elastic on the SOI and Vogue dress necklines instead of the facings. I'll see how it goes, but I think there will be a far bit of "using the force"!! Thanks Lynne, that's very interesting. I will try that. I've been struggling a bit with neckbands as I've been trying to add one to my Tilly Coco pattern. My last attempt at a clean binding turned to the inside didn't go well and it wouldn't lie flat. A lot of unpicking went on!! It's something I need to practice.